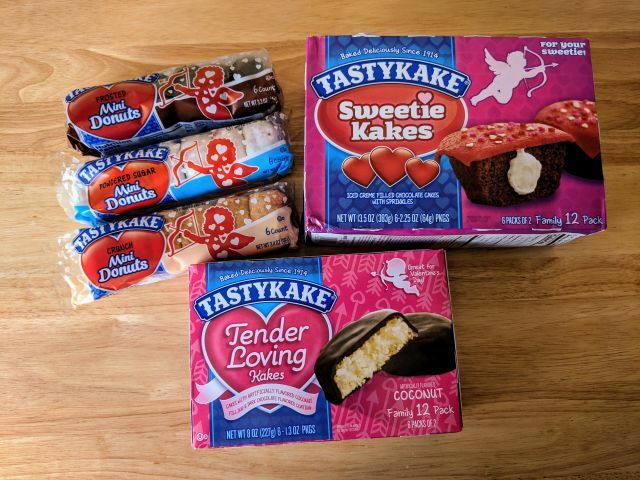 Tastykake gave a number of their snack cakes and dessert a Valentine's Day treatment this year and sent me a sample of the items to try. The line up includes: Mini Donuts, Sweetie Kakes, and Tender Loving Kakes. 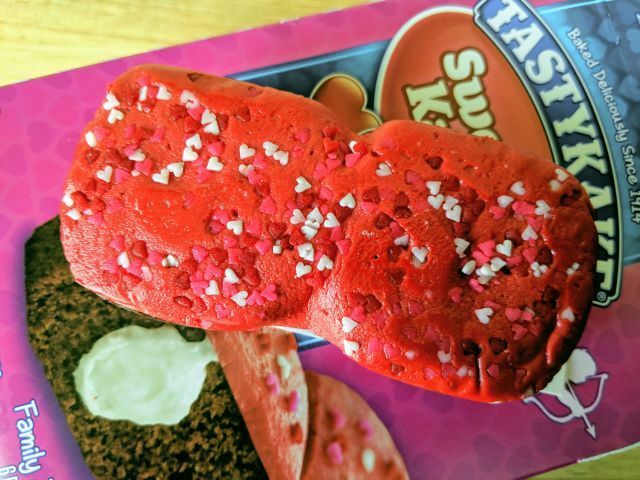 For the most part, the Valentine's desserts are just items taken from the regular Tastykake line-up and given some Valentine's Day-themed packaging. The Mini Donuts come in three classic and very familiar flavors: Frosted, Powdered Sugar, and Crunch. They taste much like any other mini donuts. 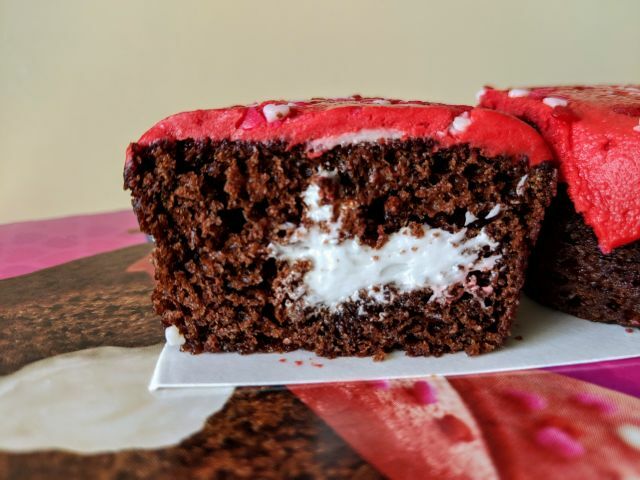 The Sweetie Kakes are a Valentine's Day take on Tastykake's chocolate cupcakes. They're creme-filled mini chocolate cupcakes with red frosting and mini heart sprinkles. The frosting isn't flavored or anything but the sprinkles add a nice crunch. I like that Tastykake's frosting actual feels like frosting and isn't hardened or waxy. Finally, Tender Loving Kakes are the brand's Coconut Kandy Kakes but with a different name and box for Valentine's Day. 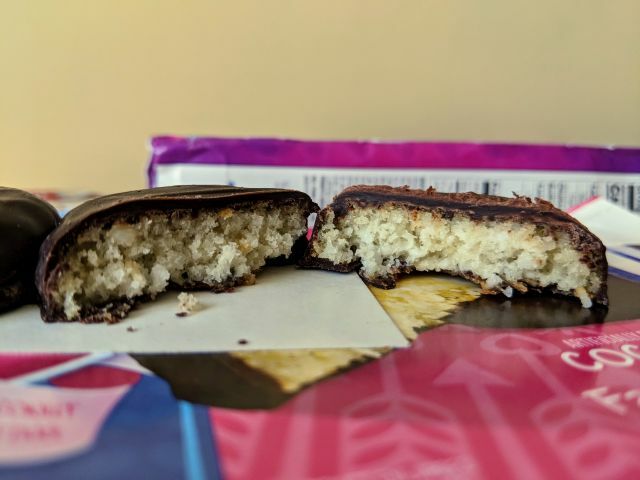 If you've never tried them, they're somewhat like chocolate-covered macaroons except with a more airy, more cake-like crumb.